I've done a lot of collections and was surprised I haven't done one on hot air balloons yet! 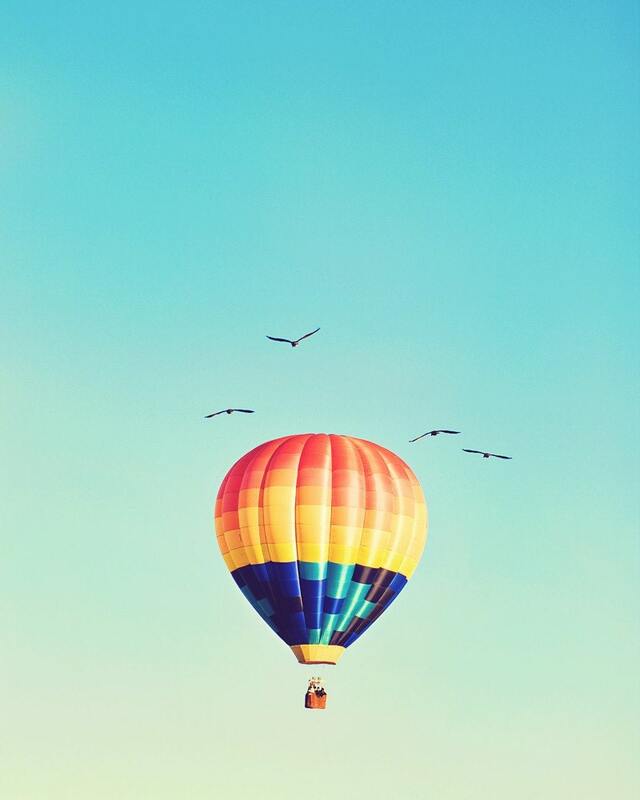 Well, here is a collection of pretty hot air balloon images for your inspiration today. 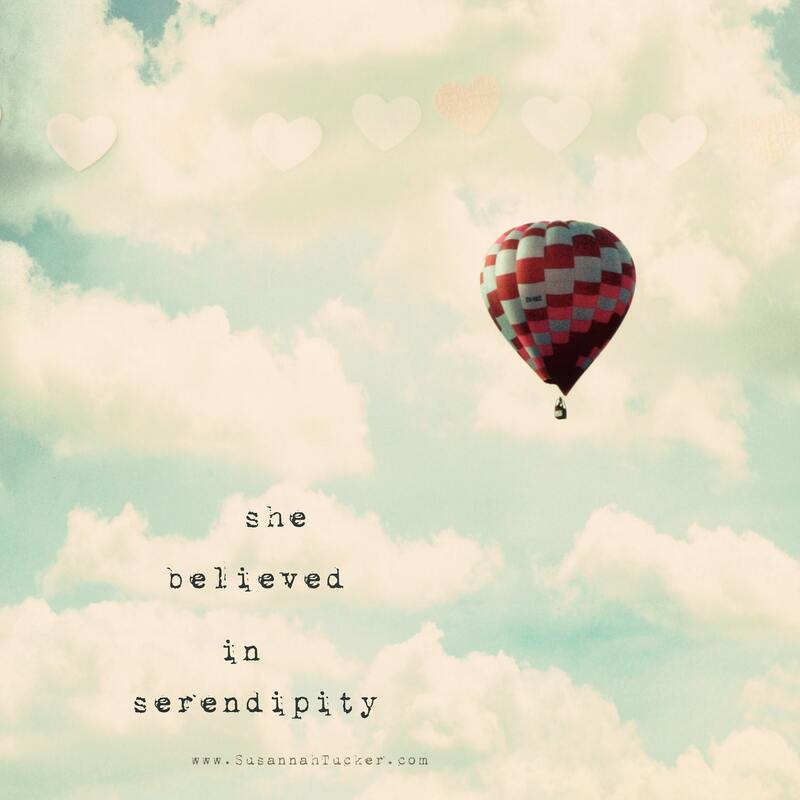 I love the idea of hot air balloons! They are so whimsical and romantic. But I am really afraid of heights so I don't think I could ever actually make it on one... too bad. Anyone else afraid of heights? Or has anyone ever been on a hot air balloon? When you're not connected to the ground, fear of heights doens't show up. So you should just really go fly! How cool! 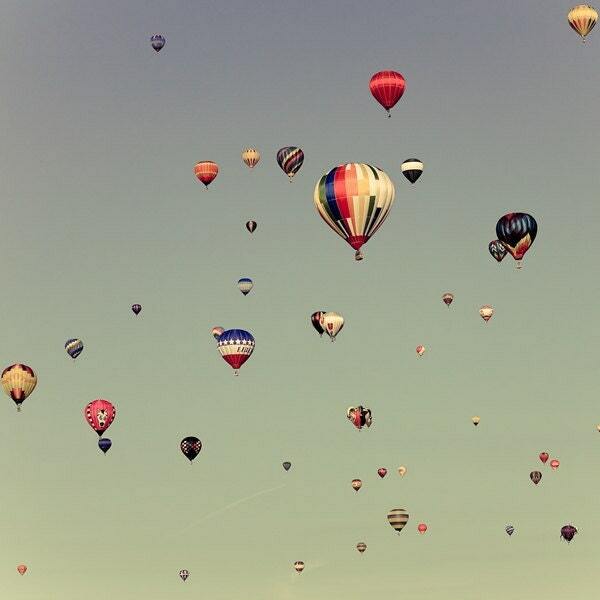 I have always wanted to go in a Hot Air Balloon, or at least go to one of the festivals in New Mexico or France! These photos are gorgeous! 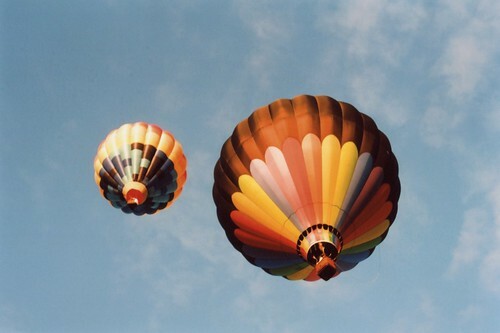 These pictures are amazing :) I want to go in a hot air balloon and fly away. Hot air balloons look like quilts in the sky. They're pretty comforting in that respect. I'm not afraid of heights, but I do get motion sickness. I wonder if there is any sort of swaying or if it's smooth all the way. I was going to do a hot air balloon post myself! I freakin love them even though I haven't actually been on one. But they are so graceful in the sky. I also love hot air balloons. When my husband and I were dating, we agreed that we'd want to ride in one at least once in our life. He planned a sunrise hot air balloon ride for us, and that's where he proposed to me :). I often have a fear of heights while standing on balconies or near cliffs/drop-offs, but for some reason being in the hot air balloon didn't bother me at all. It was much more peaceful up there than I could have imagined. I think you should go for it! I went for my birthday two years ago and it was the most magical experience I've ever had. Do it! I've never been in a hot air balloon before but I want to! Sweet collection! I got to see some in person a few years ago at the Temecula Balloon & Wine Festival, definitely worth checking out if you ever head out to the Inland Empire during the summer. I also went up in a hot air balloon many years ago. When the burner is on, it's pretty noisy. But when the burner is off, it is very quiet and incredibly peaceful and magical. You can hear things way down on the ground, even though you are up high. You are floating in the most gentle way. Our pilot took us fairly low over some tall grass meadows and the sound of the grass rustling was like nature talking to us. Even though I have a moderate fear of heights, (and even some motion sickness tendencies) the balloon ride was simply wonderful. I would love to go up again! I love Eye Poetry. These shots are so dreamy. 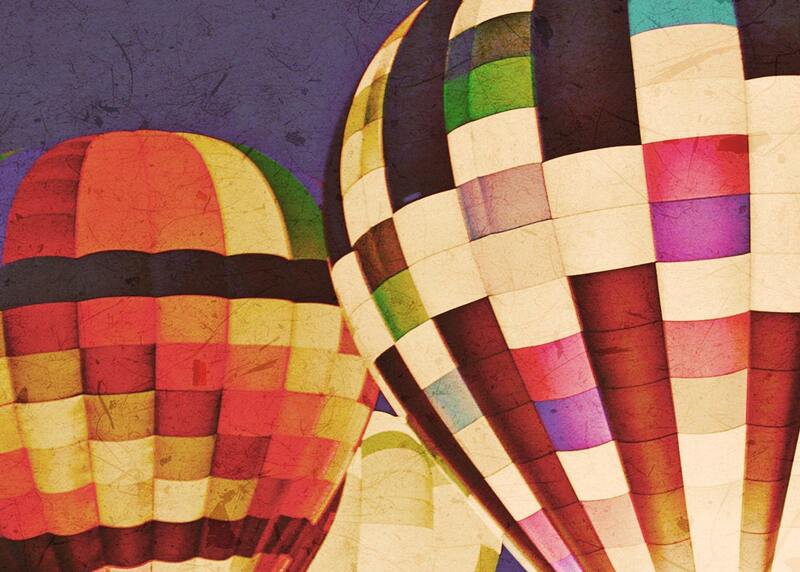 Whenever I see beautiful pictures of hot air balloons I find myself wanting to make a quilt. Hi Danni! 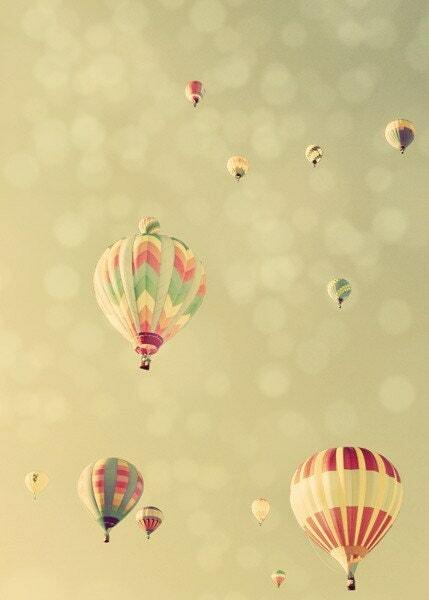 I'm totally afraid of heights, but I'd love the chance to go on a hot air balloon. Kind of weird, huh? I don't know how well I'd do once it got up in the air, since I got butterflies in my stomach just from jumping on a trampoline with my nieces and nephew the other day. Lovely photos... the Darth Vader one cracked me up; it tickles my geeky fancy. Thanks for sharing! I was just browsing through your blog and what can I say, this just put a smile on my face. Nostalgic and romantic at the same time... really inspirational. These are beautiful photos! My dad is part of a hot air ballooning team, so I got to go up in one once. I was very apprehensive, because I am afraid of heights, too, but it was the most awesome experience. You are so far up in the sky that the height becomes an abstract issue. It's just so quiet, except for the occasional hiss of the burner, and it gave me a feeling of being absolutely free. The best thing was taking off with a whole lot of other balloons and seeing them all dotting the sky around us. You should do it if you ever get the chance! Fantastic pictures!! Such lovely, serene moments! It's becoming ballooning season here in the UK now so I cannot wait to book in a hot air balloon ride over the summer! Will be sure to take some pics! Heights totally freak me out too! But I'm still planning on going to the balloon festival out in Temecula this summer (I think the first weekend in June?) to get photos like these for msyelf. :) I just won't go for any rides! Hi. Just a quick note to let you know that I truly appreciated this post. I have been looking for this kind of information. Keep up the good work!